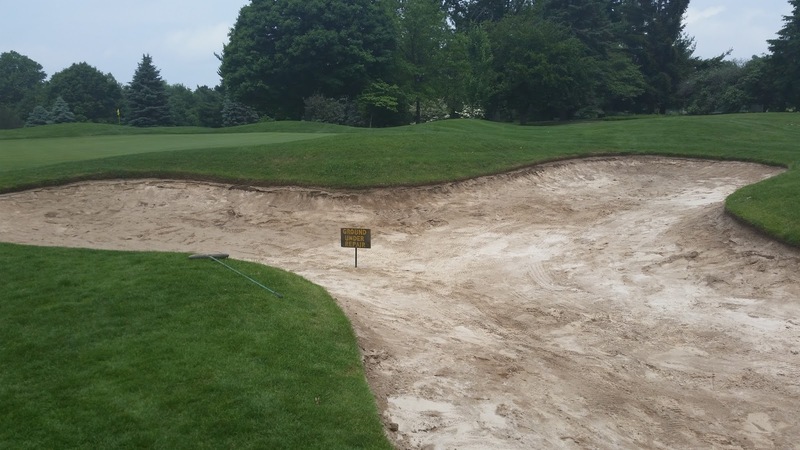 While the weather in the last week has been more conducive for ducks, the staff has been busy with their latest project for the summer: refurbishing bunker sand. 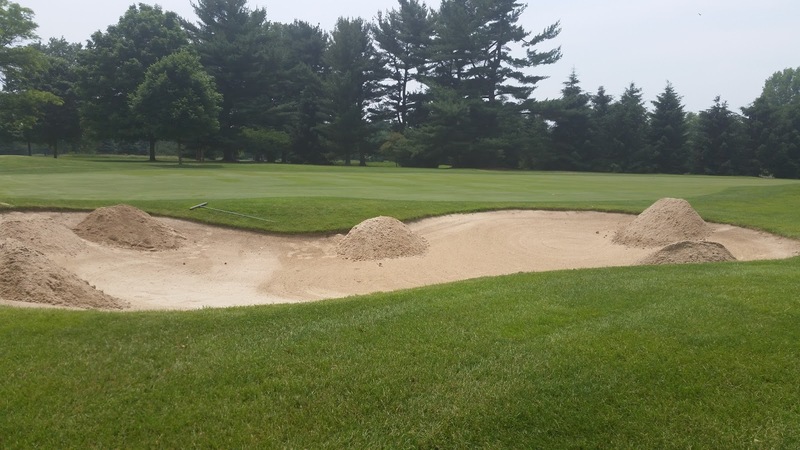 This year, 8 green side bunkers have been approved to have a make over: removing all of the contaminated sand and replaced with fresh sand. These bunkers are: The right green side bunker on #1, the left green side bunker on 2, the top 2 bunkers next to 5 green, the right green side bunker on 7, the right green side bunker on 11, and both the left green side and the bottom right green side bunkers on 14. The staff finished the bunker on 11 today and will be working on the bunkers on 1 and 2 this week. 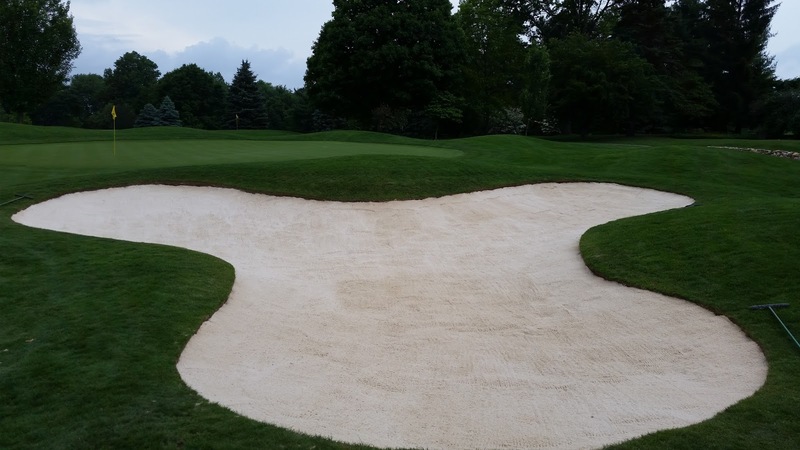 The sand that is removed has been contaminated over the years by severe washouts that mix the sand with silt, causing the color to become darker and playability compromised. 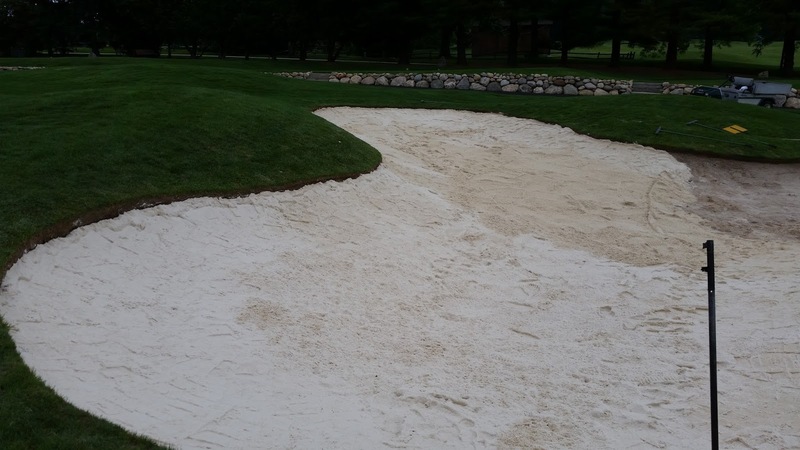 Sand that is not overly contaminated is taken to a fairway bunker that is low in sand and spread out there. For example, the sand from 11 bunker was placed in two fairway bunkers on 7. 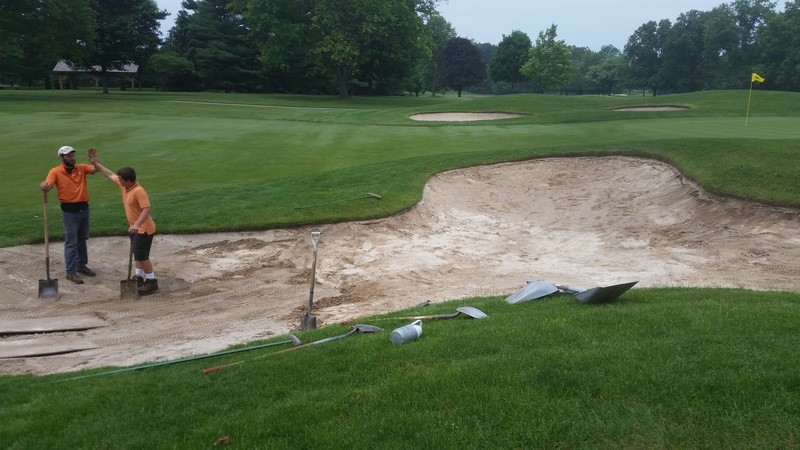 When sand is added, we are using both our bunker rake and a hand tamper to compact the sand to a proper level. The bottoms of the bunkers are compacted to a 4″ layer (recommended by the USGA) and the faces are at a 2″ layer when compacted. We will be picking these bunkers off as our schedule and course needs allow us to do. If you have any questions, please feel free to contact me. Also, we have been updating the tree tags on trees impacted by Imprelis. Over the years, the tags and the markings on them have weathered, and for ease of cataloging and observing any potential changes in symptoms, we are updating them accordingly. 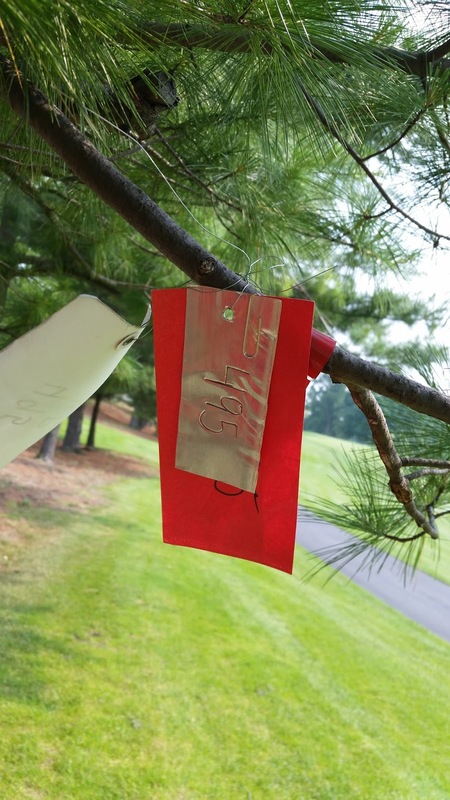 We went with a metallic tag to more permanently identify these trees and a larger color coding tag to more easily identify the stage they have been rated in. Again, if you have any questions, please contact me. Have a great week and lets hope for some drier weather! As many of you know, I am a graduate of Purdue University’s Turf Science program, and currently serve on the Midwest Regional Turf Foundation’s Board of Directors as its Vice President. The sole purpose of the MRTF is to support turf research and education at Purdue University for the betterment in Indiana, the Midwest, and nationally. Some of that research and information has been posted by both Greg and I here and here. Again, I thank each and every one of you as a member of Elcona for your continued support of both the MRTF and Evans Scholars programs on an annual basis, helping support and grow the game of golf and the surfaces it is played on. 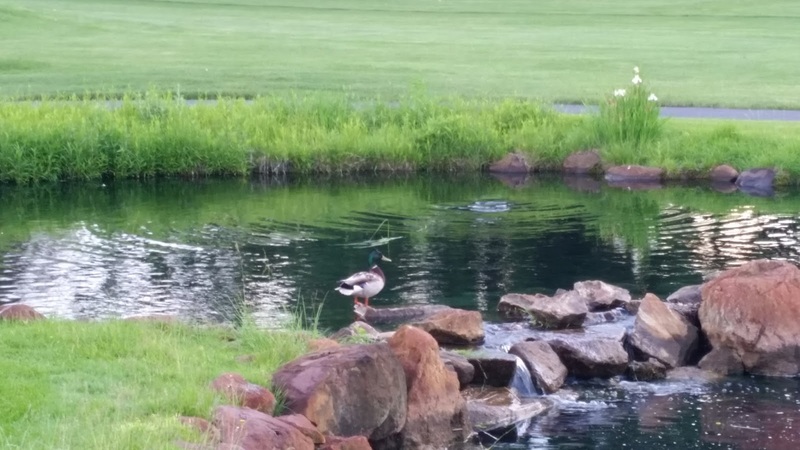 One new program that the MRTF is participating this year in is called Rounds 4 Research, which is ran by the Environmental Institute for Golf. 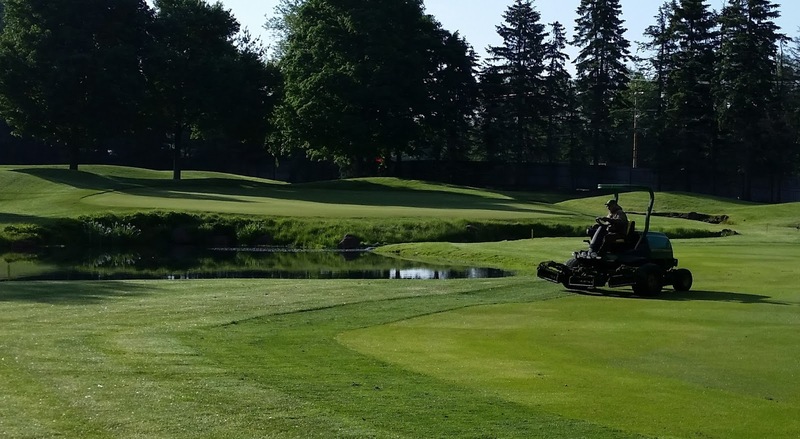 Member facilities donate rounds to be auctioned off online, and 80% of the proceeds raised are donated to a designated turfgrass foundation to further turf research and education. More information on Rounds 4 Research can be found at http://www.rounds4research.com. This year’s auction includes packages at some exclusive facilities nationwide, including Bandon Dunes, many TPC courses, Pinehurst, Trump National, and the Greenbriar Resort to name a few. 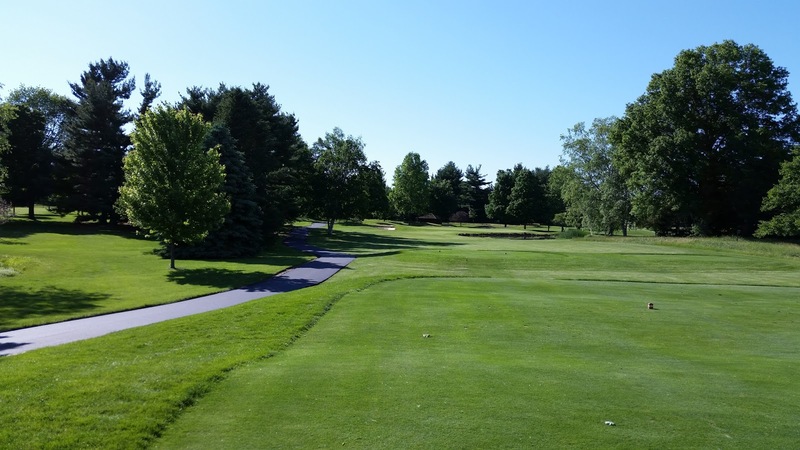 Here in Indiana, Elcona is a proud donor as well as the French Lick Resort, Pine Valley CC, Tippy Lake CC, Victoria National, and 13 other facilities. From now until June 21, bidding is open on these packages and there are many great deals to be had. The auction is at http://www.biddingforgood.com/auction/auctionhome.action?vhost=eifg. If you like to travel and play different courses around the state and nationally, this auction can offer you a great deal and provide continued support to the turf programs across the country so they can continue to provide cutting edge turf research to turf managers like myself. The cart paths along 2 green, 15 green, 3 tee and green, 8 green, 12 green, 14 green, and 15 tee have all been completed today by NiBlock. I appreciated their hustle and hard work getting all of these done in a day. 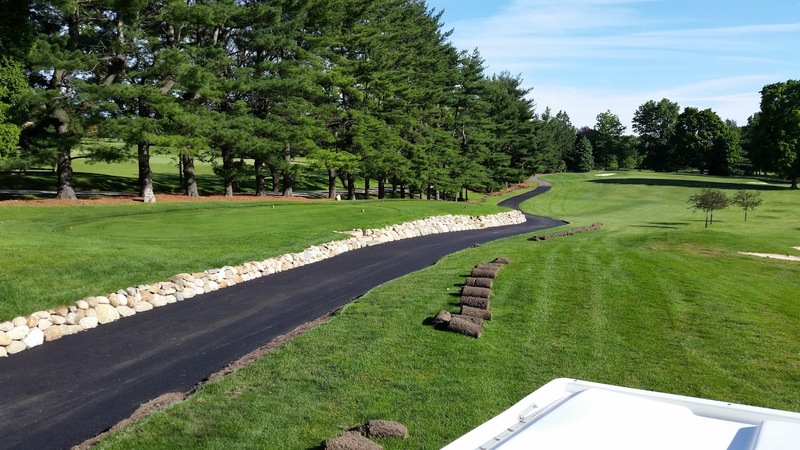 Over the next few days, our staff will be replacing the sod along the sides that were removed to get all paths back to an 8′ width and smoothing any entry and exit points so that the transition from path to sod is consistent with the other paths on the golf course. Until we can reach all of these areas, please use caution when driving onto and off of the new paths to save both your body and Elcona’s golf carts. Thank you for your consideration. Also, we do have some truck ruts to repair in front of 2 tee. In looking at all the possible ways to route the asphalt trucks to 2 green and 15 green, this way was the best case scenario. I did not want these extremely heavy trucks on the paths near 3 and 16 tee that were paved 2 years ago and risk damaging them with all the weight. Our staff will be filling in these ruts with soil tomorrow, and sodding them later this week. If you have any questions, please contact me. Thank you, and have a great week!